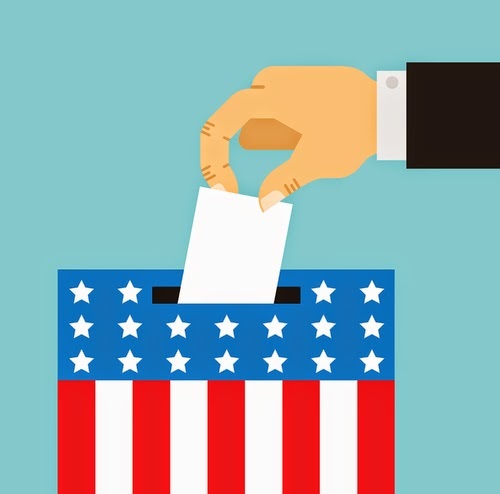 Today, Americans go to the polls in this year’s midterm election in an effort to make their voices heard in regards to our Congressional leaders. An important part of our political process is the televised debates that the candidates participate in to inform constituents of their views. Often, these exchanges occur on local stations and channels, but C-SPAN tends to provide coverage as well. As such, it’s crucial that the information about these discussions that appears in the electronic program guide is accurate and properly lists the combatants for public office. Unfortunately, some television metadata suppliers routinely furnished false content throughout the election season. Instead of describing the 2014 debate between incumbent Iowa Gov. Terry Brandstad (R) and Iowa State Sen. Jack Hatch (D), this provider instead listed an outdated 8-year-old gubernatorial event featuring Chet Culver (D) and Jim Nussle (R). @ParrisKathleen @rekhabasu Thanks. It's listed on cable guide incorrectly not on network itself. And in yet another case of confusing 2006 for 2014, this metadata supplier was under the impression that former California Gov. Arnold Schwarzenegger (R) and Phil Angelides (D) were battling, instead of current competitors Gov. Jerry Brown (D) and Neel Kashkari (R). The EPG embarrassment continues, as a 4-year-old contest from 2010 is mistakenly displayed here. In addition to verifying that the correct local races are airing, another aspect that deserves attention is the treatment of the names and labels of the politicians. For example, Sen. Kelly Ayotte (R-N.H.) shouldn’t be described as a General in the U.S. armed forces. When it comes to current and breaking events – whether it’s politics, sports, music, or even an awards show, FYI Television is equipped with accurate and up-to-date metadata for all the latest happenings. Our talented editors work around the clock to verify this kind of information, especially when it comes to the future of our country. If you’re interested in watching the returns this evening, Brian Williams will be anchoring “NBC News Decision 2014”; Scott Pelley will provide “CBS News: Election Coverage”; and George Stephanopoulos will discuss “2014: Your Voice Your Vote,” all at 10 p.m. EST. Bret Baier and Megyn Kelly will cover “America's Election HQ” on Fox News starting at 6 p.m.; and Wolf Blitzer and Anderson Cooper will anchor CNN’s “Election Night in America,” which begins at 7 p.m.